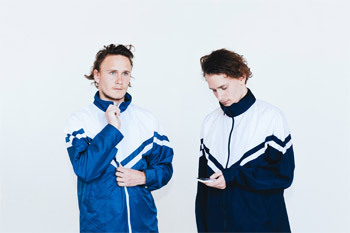 After reaching #1 most played track status on Triple J with previous single, -Snare', Sydney's favourite twins Cosmo's Midnight were fortold to be 'an act to watch" in 2015. With a national tour this year sitting pretty alongside almost 400k spins on Soundcloud for Snare and 500k plays of the official video clip on Majestic Casual, the boys are proving the prediction even further with latest release 'Walk With Me', featuring fellow rising star, WAM-winner Kučka. The track which was premiered on triple j last night, is being released ahead of their debut at Splendour in the Grass, sideshows with Porter Robinson, and a spot on the bill for OutsideIn Festival this September. "Kucka was a dream to work with in the studio, she writes excellent top lines and as a producer herself she has great input when it comes to writing the track as well. She is super quick and makes very few mistakes so when it comes to comping the vocals it was all super easy, we will definitely be working with her again." The twin brothers from Sydney first came to attention through their mature and expansive remixes, reworking the best business of Anna Lunoe, Snakadaktal, JaysWays and Destiny's Child; bringing on waves of SoundCloud plays in the hundreds of thousands. Amongst this slew of tinkerings, the official -Sleepless' rework was chosen by Future Classic A&Rs and Flume himself for official release making audiences hungry for the release of the duo's first original tune -Phantasm' ft. Nicole Millar, which made tidal waves in the blogosphere.